Aluminum Windows Las Vegas – Friend or Foe? Pro #1 – Structurally, aluminum windows are the sturdiest. If you leave a piece of white aluminum window frame material out in the sun in Death Valley for 20 years, other than some dust and debris, wipe it down and it is going to look exactly the same as it did 20 years ago. I doubt you can say that about vinyl windows and you definitely can’t say that about wood. PVC Vinyl windows are getting better and better all the time but no matter how many UV inhibitors they put it the resin, there is only so much abuse a vinyl window can take. Pro#3 – Aluminum windows are the more cost effective choice, at least as an initial investment is concerned. Of course there are varying quality levels and yes Brand A Aluminum window may cost more than Brand B Vinyl window, however for comparable levels of quality, aluminum windows will be the more cost effective. For example, Milgard Windows, lowest price window line is their aluminum window. The glass which makes up most of the window is the same across all products, but the aluminum window is the cheapest window they offer. Pro#4 – You usually have more color choices with aluminum. Colored vinyl windows are not quite ready for mass production yet, especially in extreme climates like southern Nevada, Arizona and the California desert. Many window manufacturers refuse to sell their white or tan vinyl in the desert let alone a colored version. With wood windows you get many color choices, but once again it is the aluminum on the exterior that is a different color. Aluminum windows are pretty much the only window I would trust in a black or dark brown color in high temperature regions. Aluminum can be easily painted to match any color you like at a reasonable cost. This is why you still see aluminum windows in large custom homes, because they are the only window that gives you the color and size options often needed when designing a large custom home. So there are a lot of positives when it comes to aluminum windows, so why do they get such a bad rap? Well there is only one real negative when it comes to aluminum windows and it’s a big one especially nowadays. Con#1 – Aluminum windows are extremely inefficient when it comes to thermal energy protection. Energy efficiency is a major topic these days and if you want to sell a product you had better make sure that it is energy efficient or else it is doomed. 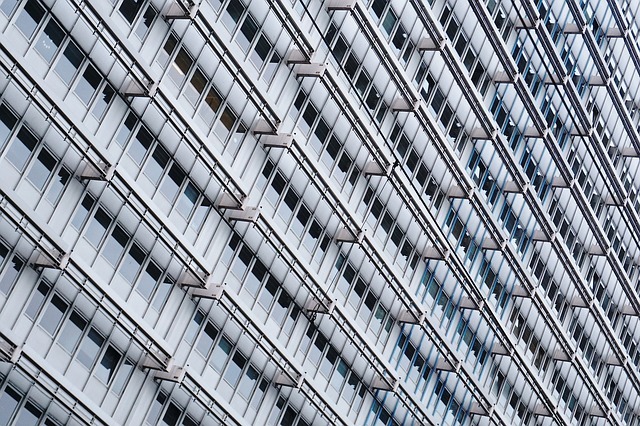 Therefore all competing products continuously tout how inefficient aluminum windows are and how energy efficient, vinyl, wood and fiberglass are. So there is nothing to say about that, the fact is yes aluminum windows aren’t as energy efficient as the other alternatives. However if you are dead set on aluminum windows but are disheartened about the whole energy efficiency thing I have some good news for you. There is a way you can get the best of both worlds. There is a product called “Thermal Break Aluminum Windows” These are aluminum windows that are actually energy efficient as well. In layman’s terms the aluminum is basically “broken” up by a filament that prevents heat transfer through the window frame. Therefore the exterior portion of the frame is separated from the interior frame by a rubber energy efficient compound that allows you to have an aluminum window while still maintaining energy efficiency.